On Friday September 6 the NASA mission LADEE or Lunar Atmosphere and Dust Environment Explorer was launched into space to study the moon and get a more detailed look at the Moon’s atmosphere. Well LADEE wasn’t the only thing in the spotlight. 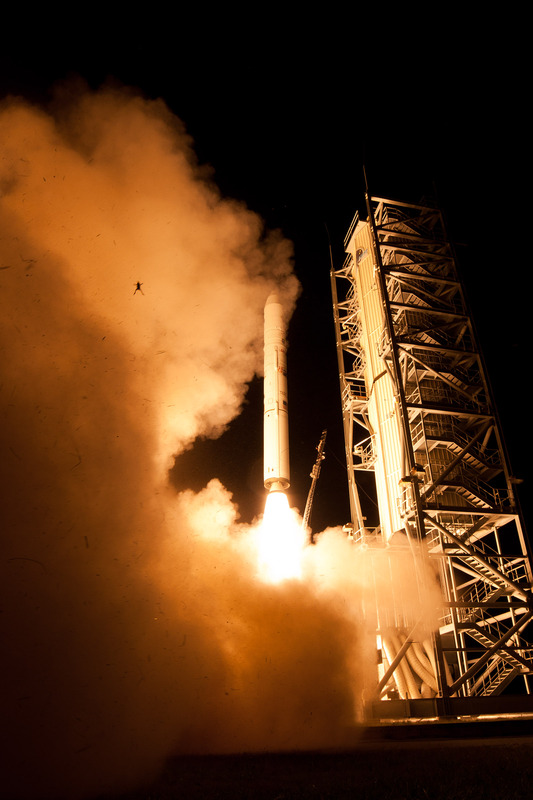 A frog was caught in the middle of the launch (unfortunately) and is now immortalized in this photo. However why was the frog there in the first place? Was it by accident or did he just hop along to find what the fuss was all about? Well as it turns out the launchpad at the Wallops/Mid-Atlantic Regional Spaceport actually has a high-volume water deluge system which is basically a pool that activates during the launch to protect the launch pad from damage. For more information check out Universe Today’s post.